Disney released a new trailer for the coming "Aladdin" live-action remake. 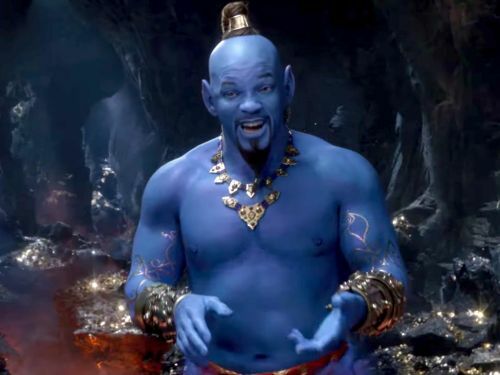 The CGI version of the Genie, played by Will Smith , was met with strong reactions. Many people on Twitter, YouTube, and Reddit expressed a lot of doubt about the new design of the iconic character. Disney is working its way through a roster of live-action remakes of its classic animated movies, and "Aladdin" is next on deck. Previously fans were confused when an Entertainment Weekly photo of the Genie showed him without the iconic blue skin .